Love Below Records presents Giving It Up, the latest single and music video by international singer and songwriter N8N. 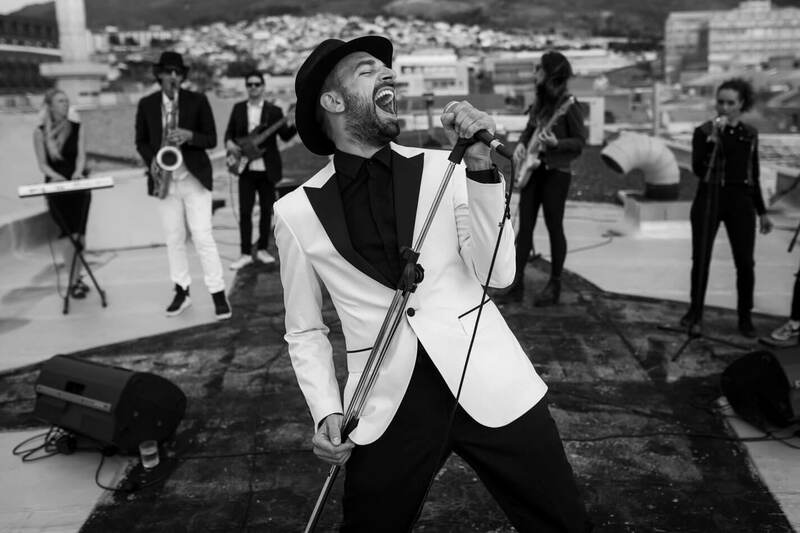 Shot in Cape Town and inspired by Bacchus, Roman mythology’s god of celebration and merriment the music video features N8N as its central character and follows his exploits on a quintessential night out in the Mother City. Looking to have a good time but faced with an empty bar, it’s up to N8N to get the party started, and he sure doesn’t disappoint, highlighting his ability as a performer to free revellers of their inhibitions, fears and concerns. It was this side of N8N that audiences got to experience at the 2018 Cape Town International Jazz Festival (CTIJF). Having dreamt of performing at CTIJF since first coming to South Africa, N8N fully embraced the opportunity and treated new and old fans alike to what critics described as “really sophisticated and cool Euro jazz” – Independent Media – CTIFJ 2018 thrills festival goers. Jill Scott and Mary J. Blige, and was co-written by internationally acclaimed writing trio J.F.K. The second single to be released off his new EP Second 2 None, Giving It Up has been a burgeoning success with over 50.000 streams in the first weekend of its release. Listen to the album on Spotify or the live performance at On The One – Brussels here.